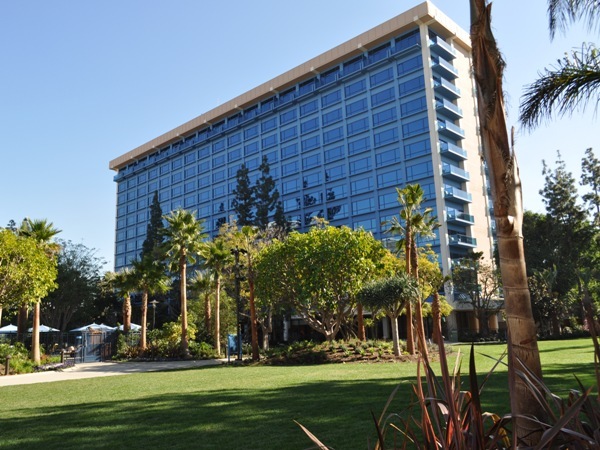 The Disneyland Hotel was the first hotel built at the Disneyland Resort. By carefully combining nostalgia with the amenities of today, the Disneyland Resort Hotel still generates the same excitement that it did when its doors first opened. 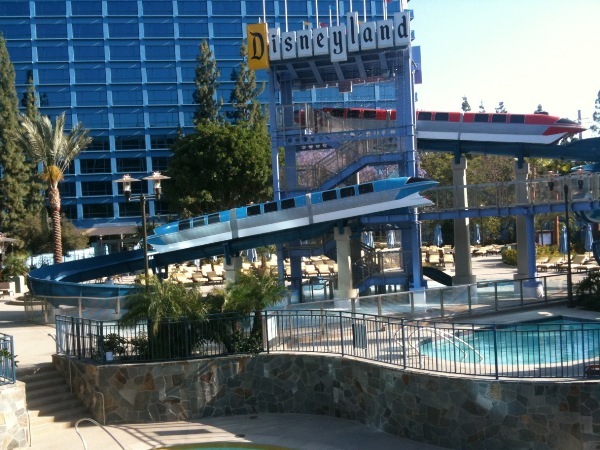 The pool area features a classic Disneyland sign and waterslides complete with replica Monorail trains. 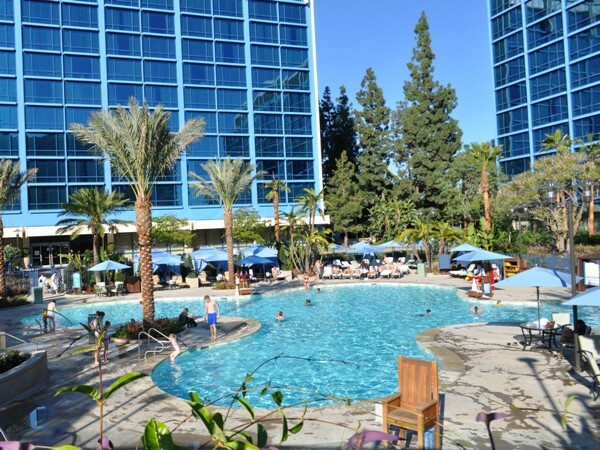 There is no shortage of recreation at the Disneyland Hotel. With a Disneyland Hotel reservation, guests can swim, play volleyball, or visit the Goofy About Health Club with its state of the art exercise equipment. Afterwards, you can relax at the hot tub or around the outdoor fireplace. Concierge amenities include priority check-in and access to the E-Ticket Concierge Lounge where guests can enjoy the breakfast bar, twilight wine and cheese reception, soft drinks, fresh fruit and complimentary DVD check out. Concierge guests staying in the Adventure (formerly Dreams) Tower can watch the fireworks from the lounge. Guests staying at the Disneyland Resorts can choose to use Pinocchio’s Workshop, the on-site child care center located at the Grand Californian Hotel. Here children are entertained in a supervised setting while Mom and Dad can choose to enjoy a quiet dinner or visit Downtown Disney. With the Monorail just a short walk away, guests staying at the Disneyland Hotel can find themselves in Tomorrowland within minutes. Guests of the Disneyland Resort hotels are are eligible for an Extra Magic Hour. Visit Disneyland on Tuesday, Thursdays and Saturdays and check out Disney California Adventure on Sundays, Mondays, Wednesdays and Fridays up to one hour prior to regular park opening. The availability of the Extra Magic Hour and offered attractions is subject to change. There are currently 12 reviews for Disneyland Hotel. 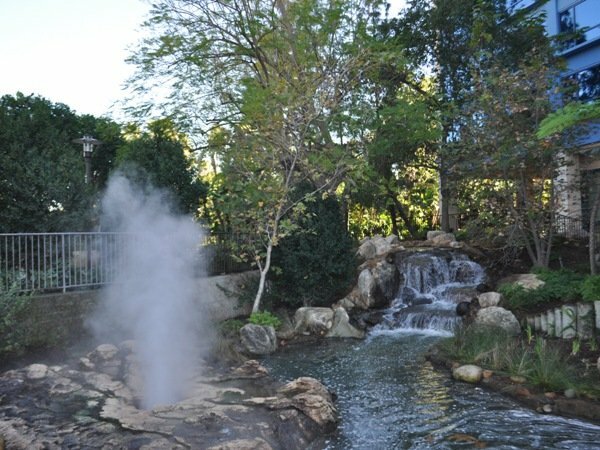 Read Full Disneyland Hotel Reviews! You can also search for Disneyland Hotel specific threads! The Disneyland Hotel consists of three stately towers. There are 990 guestrooms, including 60 suites that range in size from 740 to 3400 square feet. The standard rooms offer either two queen beds or a king bed. Amenities include a small refrigerator, in-room safe, iron/ironing board and hairdryer. Complimentary USA Today newspapers are available in the lobby. The rooms have been freshly redecorated with a decidedly Disney touch. 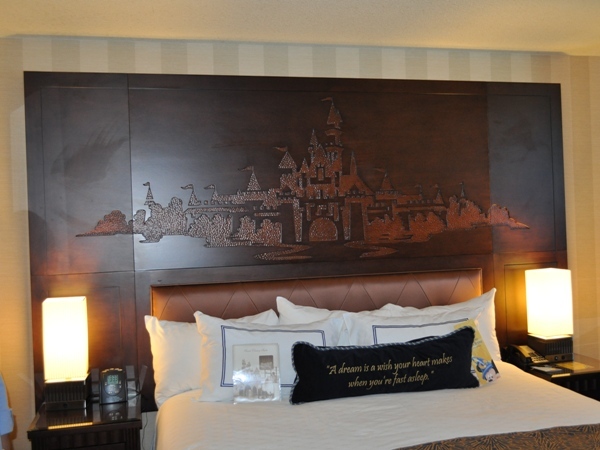 The headboard features a carving of Sleeping Beauty Castle, and with a touch of a button fireworks explode over the castle, making for the end of a perfect Disneyland day.